DID YOU KNOW AirAsia is now flying to Melaka? We are now offering FREE SEATS* to Melaka from Penang. Book now till 21 April 2019 and travel from 1 July 2019 – 2 June 2020. 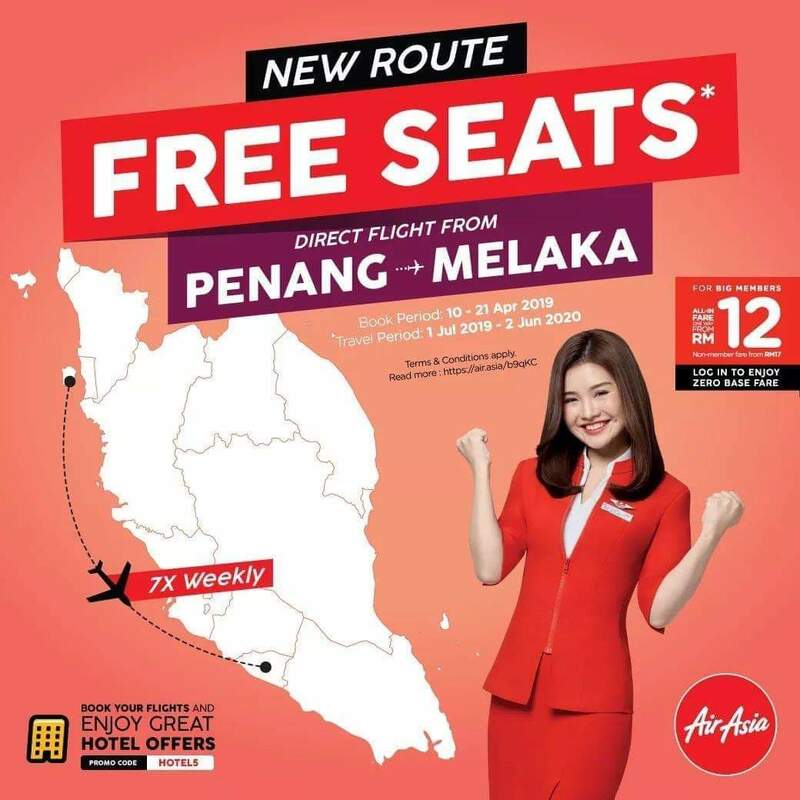 JOM ORANG PENANG, DATANG KE MELAKA MENAIKI AIR ASIA.